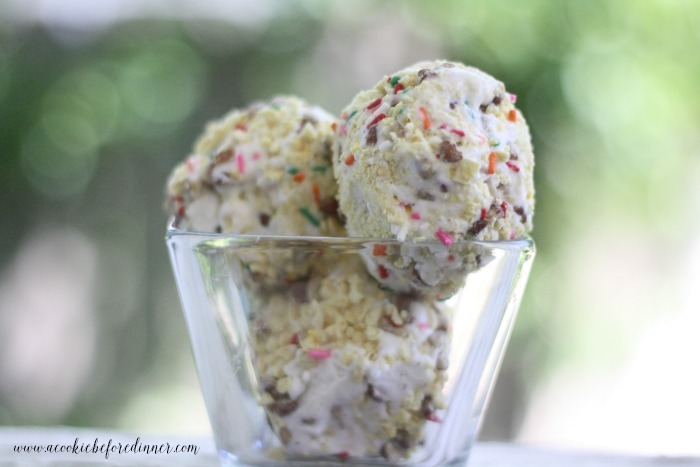 Crunch coat ice cream topping is a great twist on sprinkles. It is sweet and crunchy! Combine almonds and Honeycomb cereal and chop in food processor. To top ice cream, form ice cream balls in your hands and roll them in your mixture. Easy peasey!